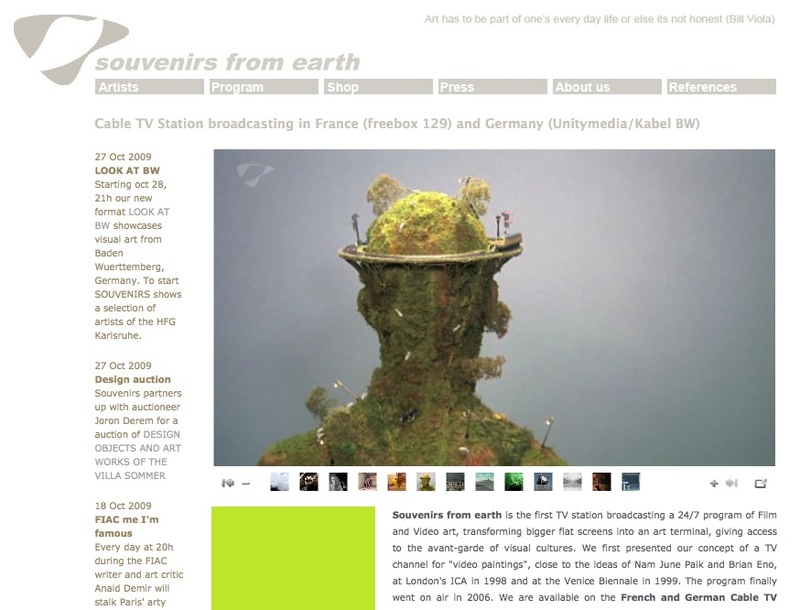 SOUVENIRS FROM EARTH is an international Cable TV station, currently broadcasting in France (freebox 129) and Germany (Unitymedia/Kabel BW), presenting a 24h program of film and video art. We conceived this channel as a platform where artists of different sensibilities can find a high-end environment to experience new forms of distribution and presentation of film and video art. Our production section also produces comissioned and free video art.SOUVENIRS IS GROWING In the last two months around 50 new artists contributed to our program; people like Hans Op de Beeck, Levi Veluw, Antenna, Dextro, Erik Moskowitz & Amanda Trager, Marco Bolognesi, Jan Imberi, Martin Veldhoen , Thomas Leon, Multiflex, Relja Penezic, Jung-Chul Hur, Romain Kronenberg continue to enrich the channel. Bigger flat screens can now become an art terminal, a place for en ever changing proposition of artistic visual content, "video paintings". 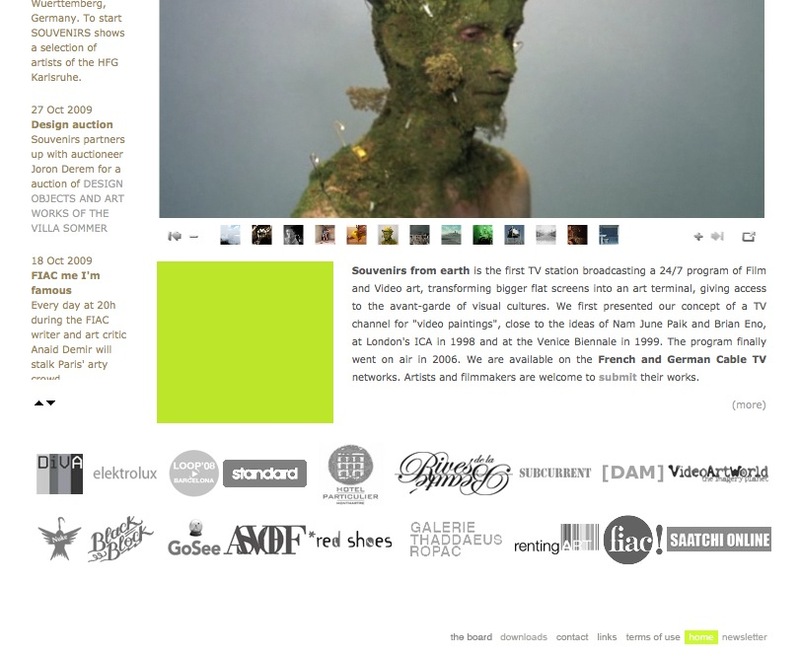 As the Video art pioneer Nam June Paik said in the 60s, already having the concept for an Art TV station in mind: "....normal TV bores you and makes you nervous, this soothes you...."
Or as Captain Kirk might have put it: "We collect glimpses of every day life, "souvenirs from earth", to be used in a darker future by a couple of people that escaped our planet before it collapsed." This hypothesis may allow us to get a better view on the very simple things of our life, generating a global awareness for the grace and fragility of our life on planet Earth. 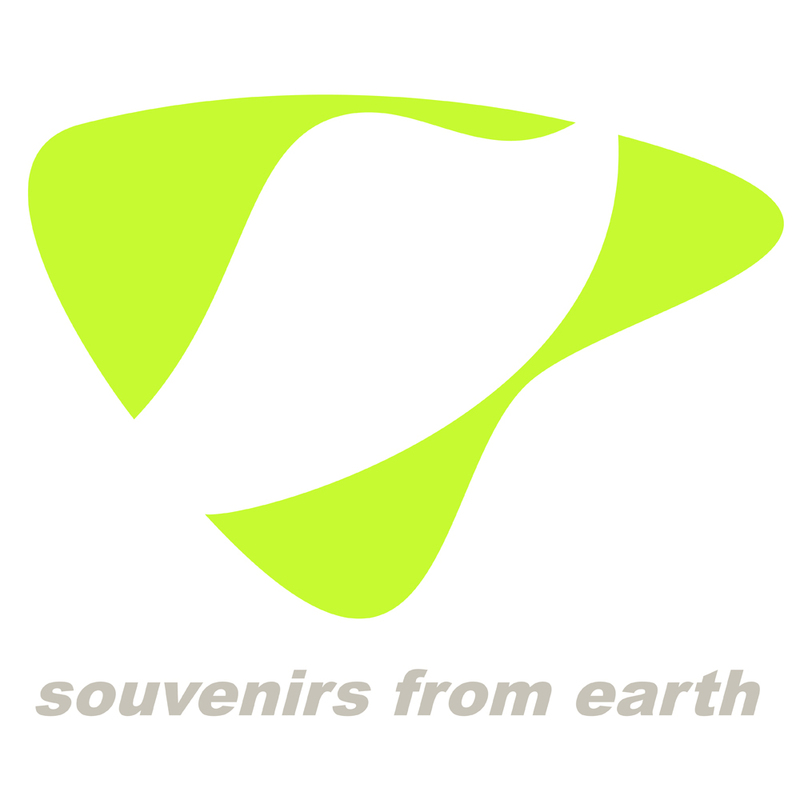 If you would like to sponsor or buy one of the films, please info [at] sfte.tv (contact us). If you think your artwork fits into our program, please contact our Curator.